Statement from Paul Semple, PSPS National Chairman, on Maid of the Loch. It has been a day of huge disappointment with much emotion on hearing the news that the HLF bid to secure the required funding to return Maid of the Loch to service on Loch Lomond has been unsuccessful. I know that PSPS members are extremely supportive of the project and all within our Society will be upset by this news. 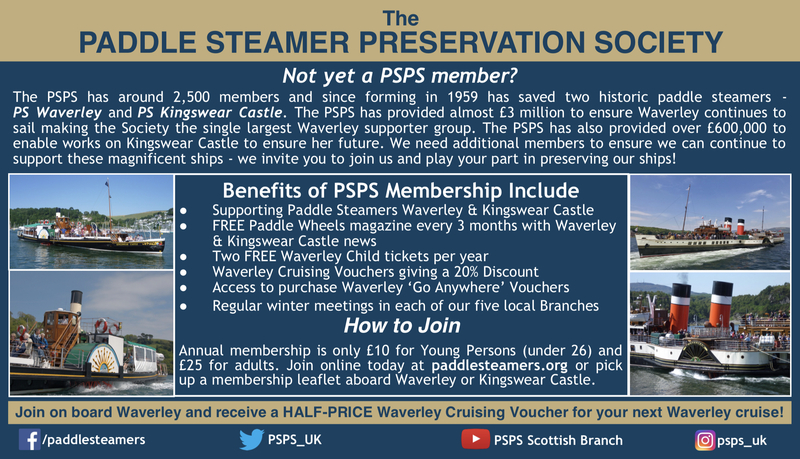 The Board of Directors, volunteers, tour guides and so many others who have worked very hard over many years to help save the last Paddle Steamer built in Scotland will also be extremely disappointed. 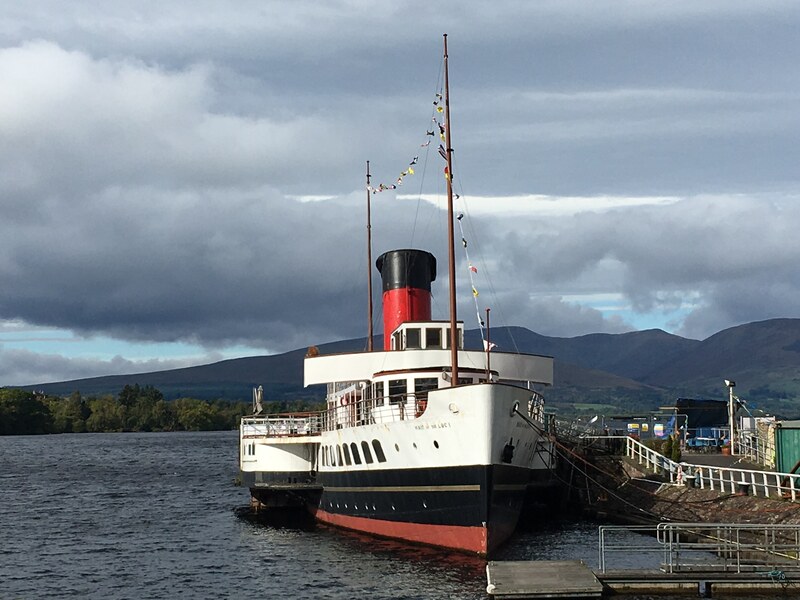 I would therefore like to pay tribute to everyone who has been involved with the Maid in preparing for this bid and in particular I must recognise the efforts of Loch Lomond Steamship Company Chairman John Beveridge. John’s commitment to the Maid for over 25 years has been outstanding and he deserves true recognition for what has been achieved to date. This news will take some time to digest across the wider preservation and heritage world but I look forward to hearing that efforts to preserve the Maid will continue with renewed effort. The PSPS has supported Maid of the Loch for well over 20 years and we will continue to support her going forward. I would therefore urge everyone who has a desire to ensure that Paddle Steamer Maid of the Loch is preserved to remain supportive now and going forward.